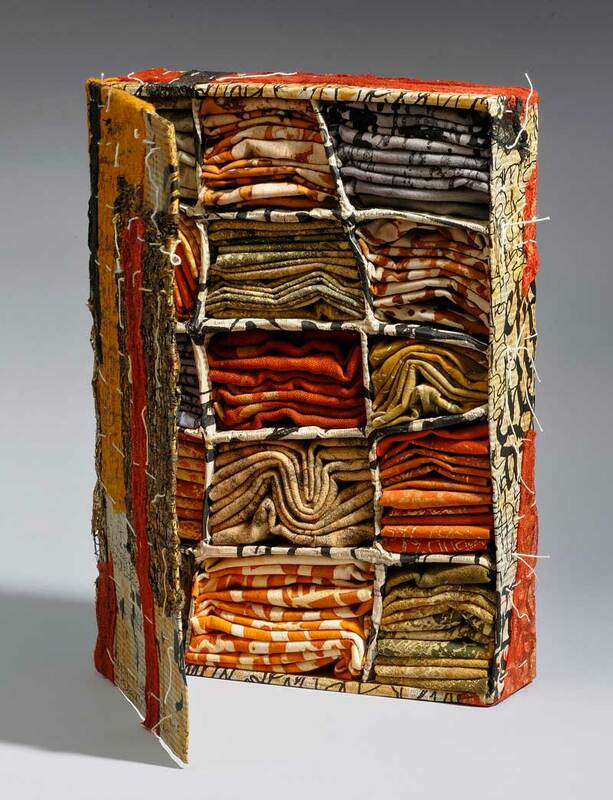 Eszter Bornemisza is a fiber artist living in Budapest, Hungary working with recycled paper, textiles and other found soft materials. 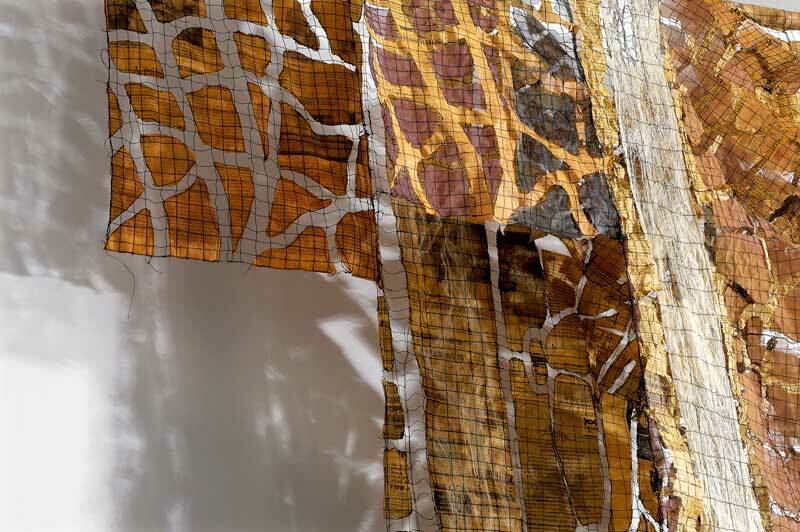 Trained and having worked as a mathematician she began orienting to textile arts in the mid ‘90ties. 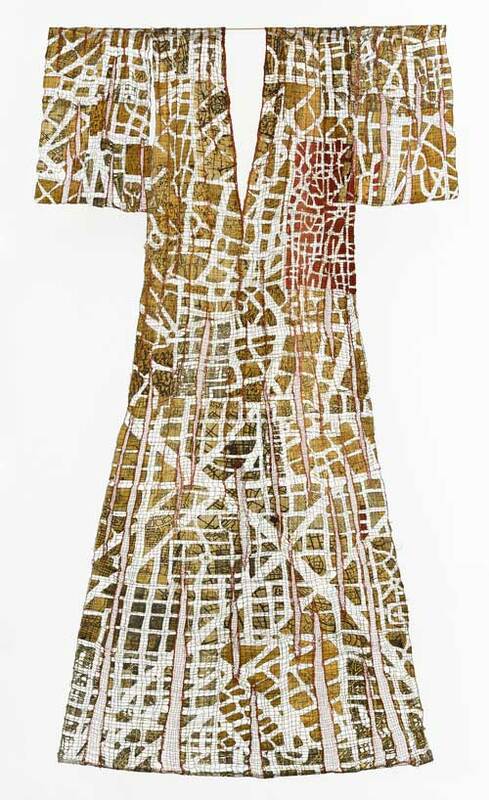 The basic process of her creation is machine stitching, with additional elements of printing dyeing and painting. 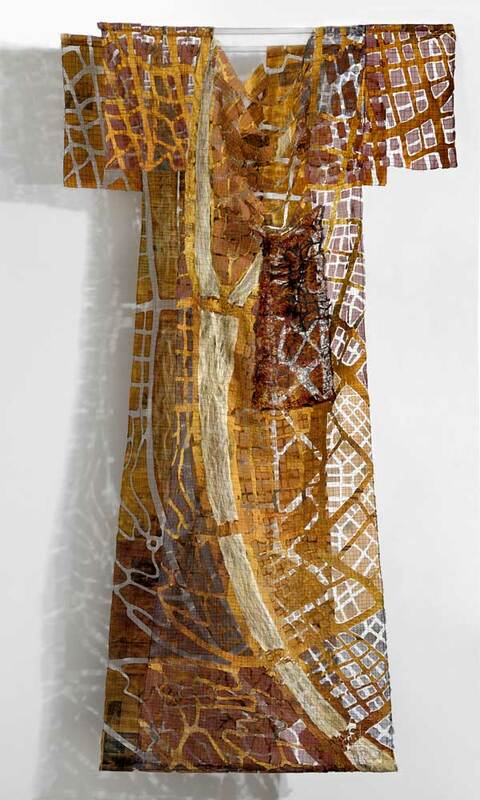 After having made art quilts for more than ten years, her interest has turned to creating transparent wall-hangings, objects and installations using ripped, overprinted newspaper. The choice of newspaper as a basic material plays a central role in her recent work as it provides further visual experiences by their ephemeral character. It is fragile; the content is obsolete sometimes at the hour of appearance, while still bearing fragments of important details from the near history. It also represents the overwhelming avalanche of fake and relevant news we have to distinguish day by day. 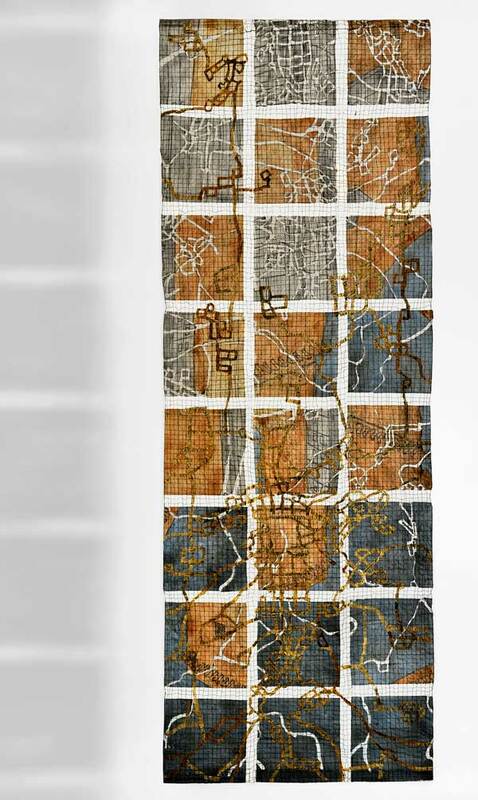 The theme of her work is revolving around ideas that reflect our relations to urban life. With the multi-layered surfaces of real and imaginary maps she is striving to grasp moments of finding our place both physically and mentally. 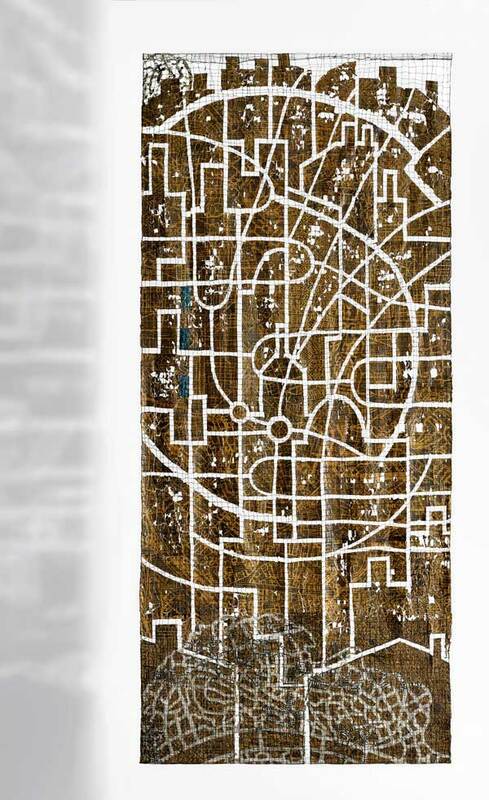 As experimentation and research has been her primary tools for developing ideas, labyrinth like maps with many dead-end streets has been a visual metaphor for a journey to find her own identity in the art field. 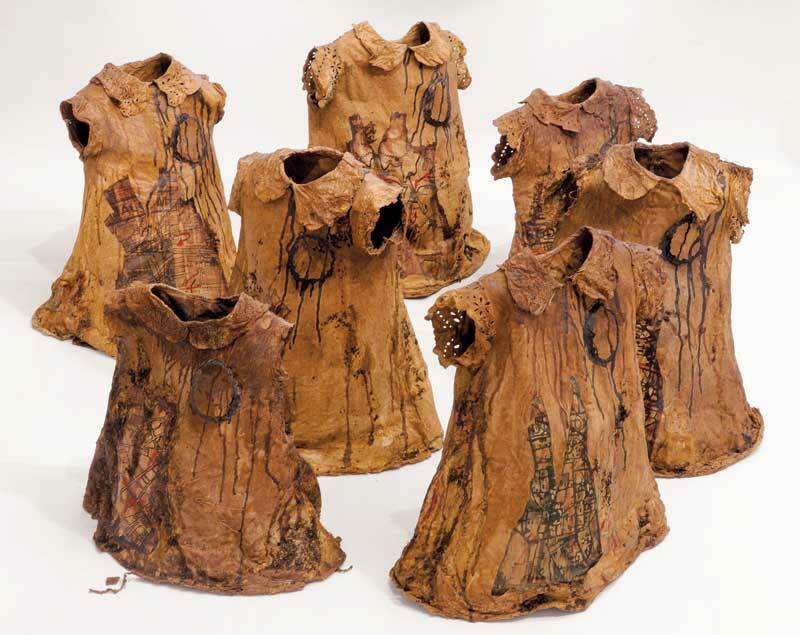 Her work addresses issues related to past and present cultures of the place: the layers of existence. Imprints of ages in the earth and in our minds, signs and traces and their meanings for us, their personal and social narratives are in the focus of her interest. The fragmented, distorted or disintegrated city plans are used as the silt of the past, blended with modern highway and metro layouts, patterns of present urban life. 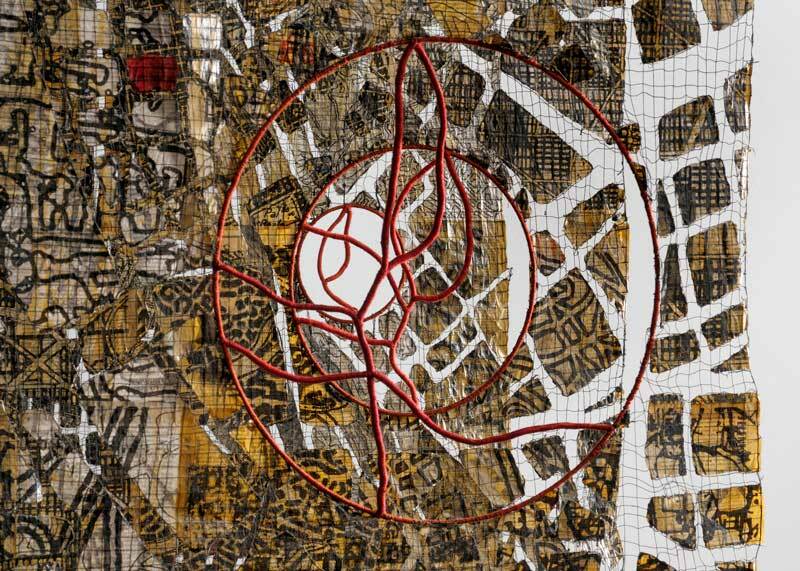 She considers maps as imprints of our living in a system, which like labyrinths offer a rich ground for associations, deepening our understanding of our life and circumstances.